July 2017 saw the G20 Summit held in Hamburg, Germany. World leaders met to discuss themes in relation to global economic growth, international trade and financial market regulations amongst others. The event was held in a locked-off area of Hamburg airport, putting staff and air traffic control under pressure to ensure the safety of the G20 group leaders and the general public travelling through the airport during that time. One of Magicard’s leading dealers, Heyden-Securit, in Germany, successfully helped the secure the summit by supplying a fleet of Magicard Rio Pro printers to personalise around 5,000 pre-printed plastic badges, on which an additional ‘hotstamp’ was applied. This is a silver-like foil which creates a hologram for high counterfeit protection. To help protect each badge against counterfeiting, another security mechanism was applied. 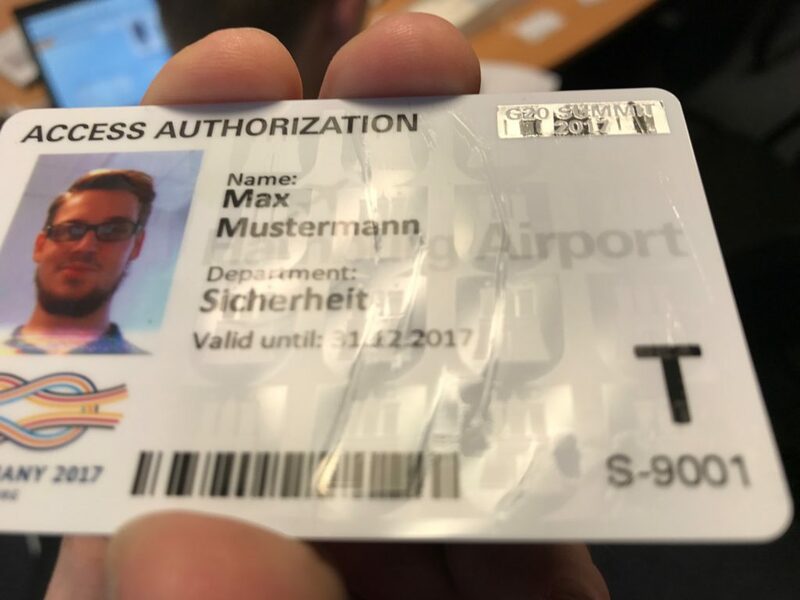 Each badge was personalised with the personal data and photo of the owner and also provided with an individual ‘HoloKote’ security watermark – an anti-fraud design, only visible when the card is tilted at a certain angle. This design was tied to only the printers used at the event, meaning a reproduction is almost impossible. Heyden-Securit delivered four fully equipped Magicard Rio Pro printers so the cards could be printed promptly on site during the Summit. Along with the printers were notebook laptops with the pre-installed card printing software CardExchange Producer, a powerful software for designing, coding and printing of ID cards. The Rio Pro sets the standard for secure ID card printing. Its high capacity card hoppers and fast print engine can reliably produce large volumes of secure cards day in, day out. The inbuilt Custom HoloKote® visual security system protects cards from fraud while Ethernet connectivity and a suite of encoding deliver flexibility, security and reliability to ID programmes around the World. Heyden-Securit has been successful in the field of identification systems and visitor management for many years. They have already assisted with numerous events, fairs, concerts and more, making sure they are all equipped with the appropriate ID system to meet their needs. 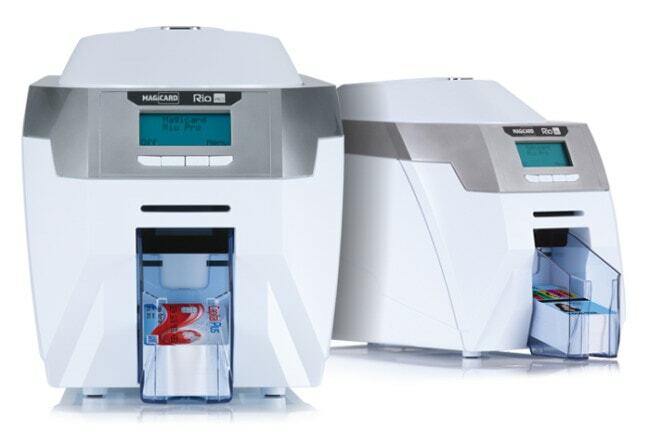 You can learn more about the Magicard Rio Pro card printer here.